I know it’s a controversial thing to admit, but honestly chocolate desserts aren’t my favourite. Don’t get me wrong, I love chocolate - I’d be the first to tuck into the Quality street at Christmas (barring the orange creams), but when it comes to ordering dessert in a restaurant my eyes (and stomach) are usually drawn to the lemon meringues of the world, over the chocolate fondants. That said I love creating recipes with chocolate - and likewise, my boyfriend is more than happy to taste test them. These dreamy little pots are another story. What I love the most about them is that they’re so delicate. They’re light enough to win me over, whilst sill being indulgent enough to satisfy my chocolate-loving other half. Now, someone pour me a glass of witches brew! Note: Before I made the tombstones, I drew a little cardboard stencil as a guide when cutting them out, but you could easily do this by eye. 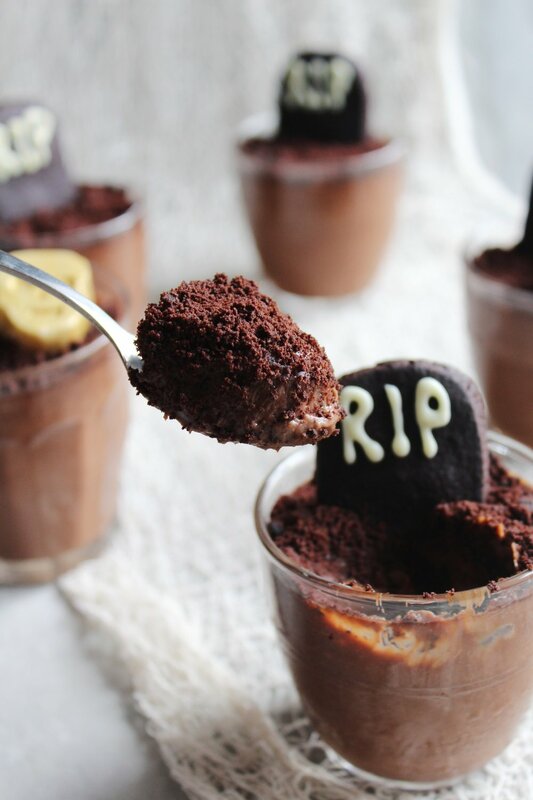 The tombstones are an added spooky twist to this dessert, but they could easily be adapted for any time of the year (minus the tombstones, that’s a little too morbid). You could cut out other shapes for the cookies, or simply top them with some whipped cream and serve. 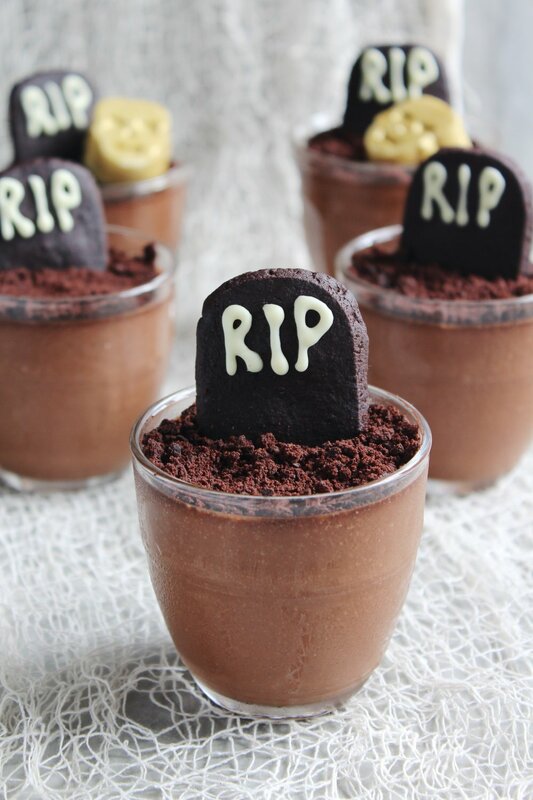 Stick the tombstones into each pot, then dust over the top then serve and enjoy!